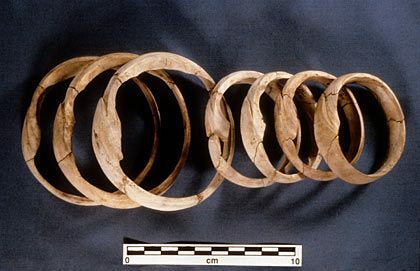 Faience bangle made in the shape of a shell bangle or the stylized "womb" motif, Harappa. 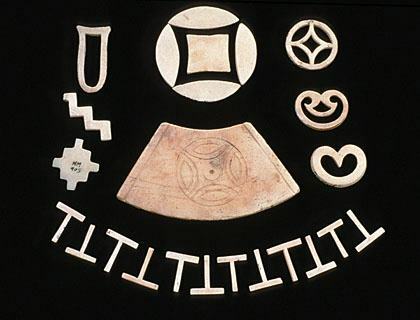 Assorted shell inlay with intersecting-circle and womb motifs from Mohenjo-daro. 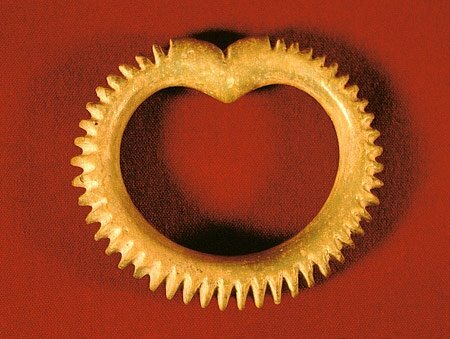 For more, read Mark Kenoyer's article Shell Working Industries of the Indus Civilization: A Summary as well as his article Shell-working in the Indus Civilization.